One of the reasons I was so excited to start a knitting blog was that I could join knit-a-longs, and in particular I was stoked to join the Cable-Down Raglan KAL. 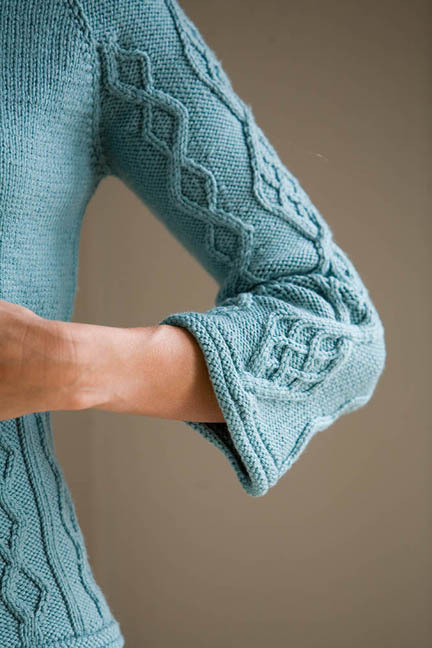 The pattern by Stefanie Japel is from the Spring 2007 issue of Interweave Knits, and from the moment I saw it I was in love. 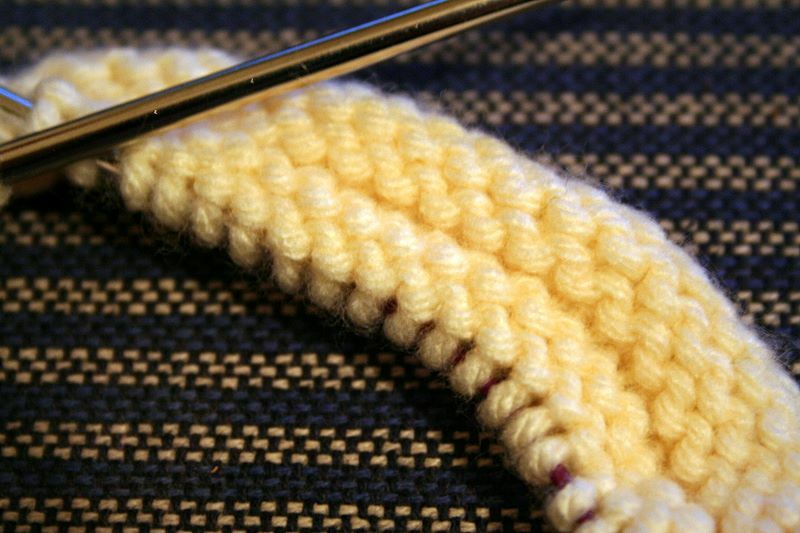 Like so many well-designed things, the beauty truly is in the details. 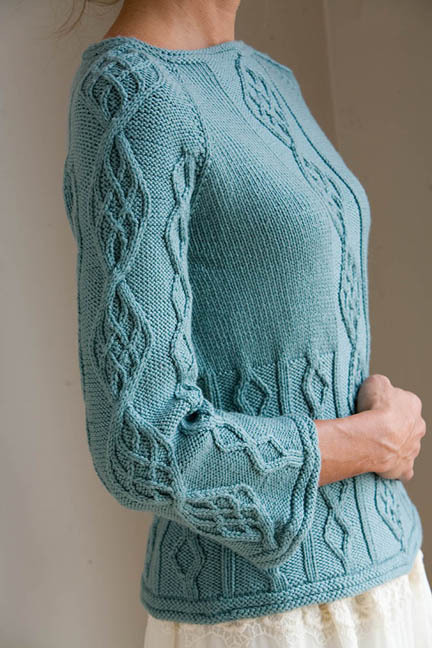 The shaping looks really flattering, and I can’t get enough of the gorgeous cables. 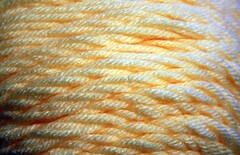 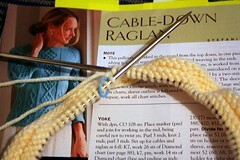 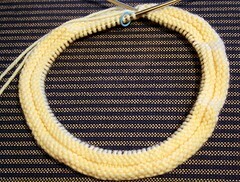 I’m doing mine in a cream color, and I’ve already cast on and knit the first few rows of the neckline. Since I’m not terribly experienced with cables, or top-down knitting in the round… or really even sweater knitting, I know I have to be incredibly careful. 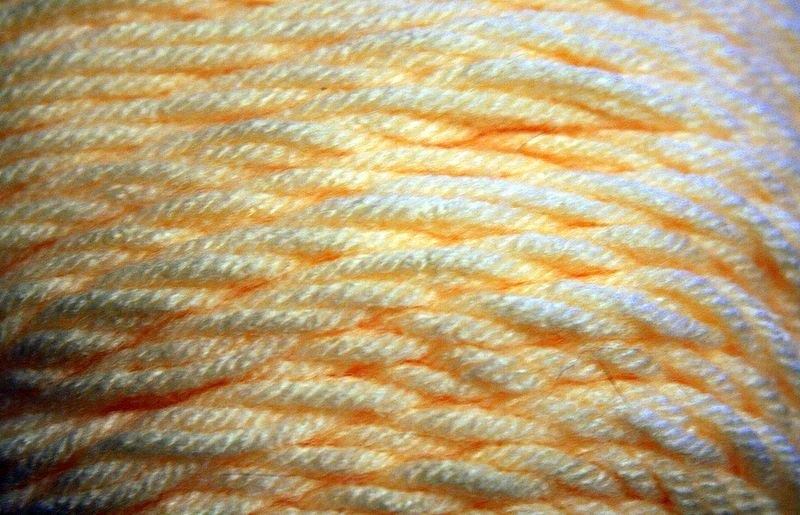 It’s tempting to wait until the errata are published on the IK site, but I want to try as much as I can to figure it out and make some progress.